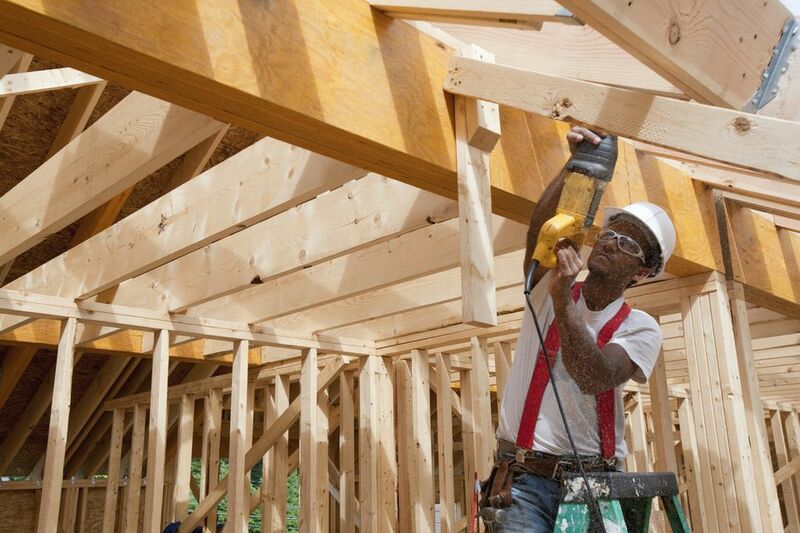 Every homeowner needs a basic toolbox filled with the essentials necessary for basic home repair. 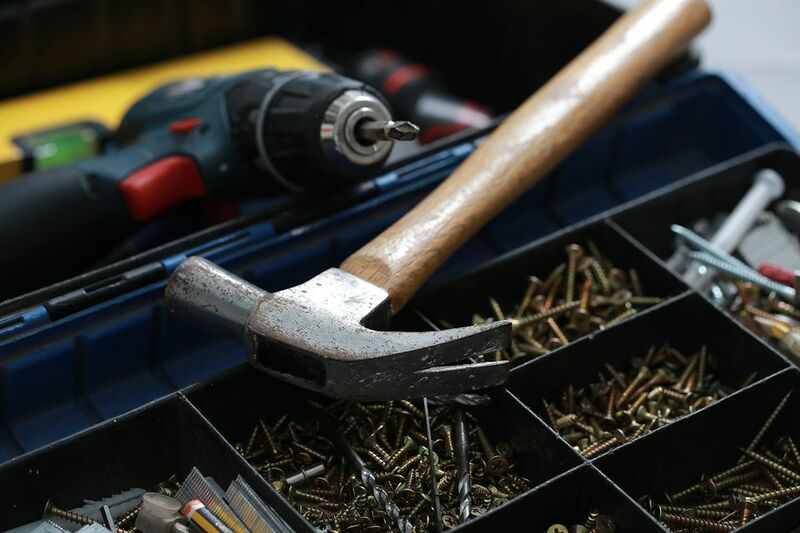 But beyond this, there are hundreds of additional tools, both hand tools and power equipment, that can be extremely helpful if you begin finding that the basic hammer and screwdriver collection isn't making the grade anymore. But how to know what you need? How often will you use a reciprocating saw, like the one shown here? If you are beginning a large demolition project—or can foresee one in your future, then this is may be a tool you want to invest in. Otherwise, it probably won't be used that often and you can do without it. A power jigsaw, on the other hand, has many purposes, and for homeowners who want to own one power saw, a jigsaw is the one that makes the most sense. Here are five tools that you might want to add to your homeowner tool kit, once the basics are covered. An oscillating multitool isn't all that common yet in homeowner collections, yet it is one of the most versatile tools you can own. It was invented in the 1960s as a vibrating tool used by medical professionals to safely and quickly remove plaster casts, but adapted versions used for woodworking were introduced in the mid-1990s. This tool has interchangeable accessories that allow you to sand, cut, scrape, grind, and polish. As a cutting tool, it can cut through almost any material, ranging from plastic to concrete. The small head and vibrating action allow an oscillating multi-tool to get into spaces where no other tool can fit. Once you own this tool beware: neighbors who see how useful it is will soon be asking to borrow it all the time. Most every homeowner has a cordless battery-powered drill, but there are battery tools and then there are battery tools. From the introduction of the first cordless tools by Black & Decker in 1961 for NASA, which were used for repairs to Gemini spacecraft in space, cordless tools have made several quantum leaps as battery technology evolved. There is a very good chance that the cordless tools you now own feature outdated battery technology. If you don't have a collection of tools using lithium-ion batteries, now is the time to invest in them. The older (and very bulky) NiCad (nickel-cadmium) batteries have now given way to much lighter lithium-ion batteries that also have a much longer charge life. Every major power tool manufacturer offers bundled sets of lithium-ion power tools, ranging from two tools (usually a drill and impact driver) for around $99 to an impressive 9-tool kit from DeWalt that sells for more than $800. That may sound like a lot of money, but when you consider that this large kit comes with a drill, impact driver, circular saw, reciprocating saw, oscillating multi-tool, right-angle drill, angle grinder, flashlight, blue-tooth speaker, and two batteries, it becomes a pretty good deal. Purchased individually, such a tool collection would cost thousands of dollars. A smaller tool set of 4 or 5 tools for $200 to $300 will soon be regarded as a must-have for a homeowner's tool collection. Lithium-ion tool sets usually use 18-volt or 20-volt batteries. Either will be sufficient for general home use. It is best to stay within the same manufacturer's tool family, as this allows the batteries to be shared by all tools in the collection. When renovating a house or performing any kind of demolition, you cannot get by without some kind of pry bar or crowbar. A claw hammer's claw may take out nails, but a pry bar can do the same thing plus a multitude of other things. The most versatile form is the flat pry bar, sometimes called by one of the trade names, Wonder Bar (from Stanley) or Gorilla Bar (from Roughneck). The flat pry bar has claws at both ends for gripping and pulling ​nail. The flat design makes it easier to wedge under the heads of nails or wedge itself between boards in order to lever them apart. In addition to pulling nails and serving general demolition functions, a flat pry bar also lets you do non-demolition activities, such as lifting a slab door you're trying to hang or moving delicate things incremental distances (as when framing a pre-hung door or dealing with replacement windows). Flat pry bars come in several sizes and are sometimes sold bundled with several bars in different sizes. It's not uncommon for experienced homeowners to own several flat pry bars. Cut. The cutting edge on the side of the tool's head can chop off anything from electrical wire to small pipes. Grip. This is the "plier" part. Massive jaws with nubby teeth grip and hold onto almost anything. Pound. Not an officially sanctioned use, but these pliers will improvise as a light-weight hammer in some instances. Experienced homeowners almost always end up doing some electrical repairs—especailly after discovering how expensive it is to call a professional electrician for a house call. And the very first electrical tool you should own is a voltage tester. A voltage tester is a single-purpose tool that does only one thing: It tells you if there is live current flowing through circuit wires. Unlike a voltage meter (multi-tool), a voltage tester merely senses the flow of current and alerts you with a light, a sound, or both light and sound. Testing for current is essential if you are doing any one of several very common household electrical repairs, such as replacing an outlet receptacle, wall switch, or light fixture. Learning how to use a voltage tester is one of the most important homeowner skills you can learn. Voltage testers come in several types. The classic is a neon circuit tester with two metal probes affixed to a handle with a neon bulb in the tip. Using this type of tester requires a small degree of understanding, since using it requires that you touch one probe to a hot contact and touch the other probe to a neutral or ground wire. As current flows through the tool, it lights up the neon light in the tip of the handle. This is a very simple tool that uses no batteries. Easier to use is a non-contact voltage tester, which senses voltage without even touching any wires. It works by detecting electrical fields and will alert you to the presence of current if you do no more than hold the tip of the tool near an outlet or switch. This is a battery-powered tool, and it is important that you always check its operation before use.